Many car owners take pride in the vehicle they own and often yearn to give it a better finish according to their wants and needs. A car modification can be defined as any change introduced in the vehicle to enhance its performance, function or aesthetics so that it widely differs from the original specification. 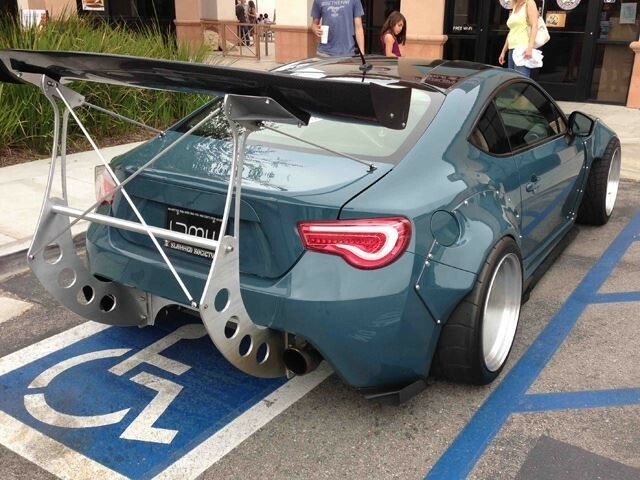 Modifications increase insurance because the value of the car goes up and it invites a lot of attention on the streets. Numerous individuals possess a passion for cars and lavishly use their creativity and savings towards making their vehicle more stylish, equipped and luxurious. Modifications render an uniqueness to a vehicle and in some cases, improves its performance too. In the UK, with the boom in the automobile industry and the introduction of the Insurance Premium tax in November 2015, car premiums have appreciated in the past year by rising to about 20% this year. A recent survey says that this might encourage about 56% motorists to consider adopting the black box and telematics policies. Modifications increase insurance amount you pay towards your vehicle each year. Below is a list of the type of modifications and their corresponding hike so that the renewed premium amount does not arrive as unexpected. Almost all types of car modifications increase insurance. This is because accessorizing a vehicle with satellite navigations and car phones increases it’s risk of theft while a spoiler would mean that the car would now be able to run at a higher speed, which will promote the chances of an accident. From numerous surveys conducted on the car owners who generally modified their cars, it has been observed young male drivers modified their vehicles the most. Also, women drivers mostly opt for parking sensors and air conditioners while men generally add spoilers and upgrade the brakes. Modifying cars is an addictive hobby and more than often, car owners look to modifying their vehicles out of passion rather than a necessity. Cosmetic changes such as altering the quote of the paint of the vehicle’s body and adding badges, decals or stripes can hike your current premium amount by approximately 36% and 22% respectively. In case you are looking to fit a spoiler or a turbo engine you will pay a whooping 132% more than what you are currently paying as car insurance. Flared wings, wheel arches and bonnet bulge can hike the premium by 66% and body makeovers can increase cost of insurance from 57% onwards. Upgrading suspensions and changes made to the exhaust system can knock the rates up to 25%. If you intend to remove backseats and introduce roll bars and roll cages, the cost of your policy will bump up by a minimum of 40%. Wheel modifications can go up to a 100% hike in the cost of the policy. On an average, car owners in the UK pay about GBP 423 towards their car insurance policy and turbo changing can lead to a rise by GBP 393, i.e. by 93% and retuning it would increase the policy amount by approximately 23%. This is because insurance providers maintain that any modifications done outside the manufacturer’s factory does not have any guarantee and therefore, this might lead to the compromise of the integrity of the car as a whole. Therefore, car modifications increase insurance basis the kind of change which is incorporated. Young drivers tend to pay more premium towards their vehicles, courtesy the higher risk of accidents they imply. Moreover if modifications are introduced, they might end up paying a hefty amount of insurance premium. However, not every kind of modifications increase insurance amount. For example, if the owner installs safety measures such as alarms, immobilisers, sensors and tracking system, it would reduce the premium cost effectively as the vehicle is now theft proof. Parking sensors will reduce the premium cost by 13% and adding tow bars to your car would depreciate it by 20%. The most important aspect about fetching a insurance for modified cars is to inform your current insurance provider about it and seek the required estimation of the renewed insurance, preferably before such modifications increase insurance premium. When a vehicle is being modified, the manufacturer provided elementary specifications are being altered which means that if your insurer is not intimated accordingly, it could rule the possibilities of a claim. It is not advisable to wait until the time of policy renewal. At a time where car insurance is always on the rise, car owners need to conduct a thorough research to receive the best possible deal on car insurance policies. If you intend to modify your car, you can simultaneously take care of a few things before you intend to take out a car insurance policy. For example, if your modified car rests in a garage when not in use or if you are able to keep mileage in check, you might be able to save upon the insurance premium cost. If you are a young driver, consider taking additional driving qualifications such as Pass Plus, which can significantly reduce the cost of the premium. Raising the excess of your insurance policy to an affordable limit will also keep the insurance premiums fairly low. If you accumulate your no claims bonus discount, you are likely to receive a considerable discount on the premium and therefore even if your car modifications increase insurance, it can balance out the total amount you pay. Look through what policy add ons you require and what you do not so that you pay exactly against the cover you require.